A Black Day of the Dead Rose Headband with Red Rose detailing ??? Ideal for Halloween or add a luxurious touch to any dressing up occasion. This elegant Day of the Dead Rose Headband is the perfect accessory for not just a Day of the Dead celebration or Halloween Costume, but any dressing up occasion. This black headband is designed to fit all, and the three large red fabric Roses are authentic-looking yet luxurious. 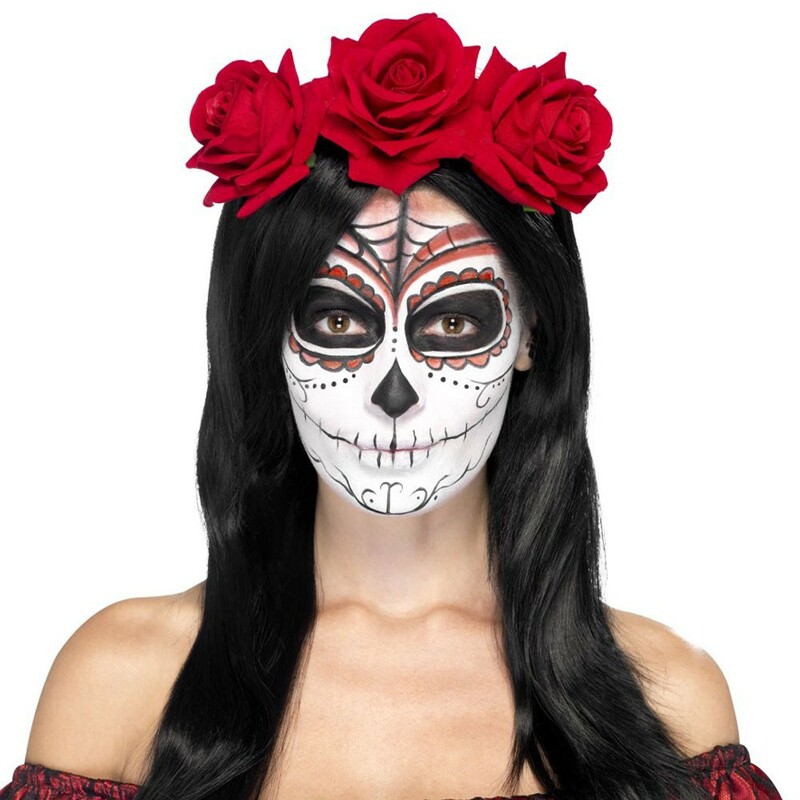 The Day of the Dead Rose Headband is the perfect accompaniment to any Day of the Dead themed Costume as the Day of the Dead Rose Headband is sure to add the most beautiful finishing touch to your Halloween outfit this year. A Day of the Dead Rose Headband with authentic-looking Red Roses.